I added the relay to cut out the buzzer at stop lights. I used the small terminal Strip and wired it like the drawing Cincinnati John posted except I switched the ground side of the buzzer. I used a tap at the rear brake switch and ran the wire down the brake hose and zip tied it to the harness. Works great, cost only a couple bucks. White to ground and white to buzzer ground side. Modified wiring for relay. Switch on ground side. Same Same. Just the way it worked out. I followed Cinci John's method to the letter with a couple of twists suggested by others. 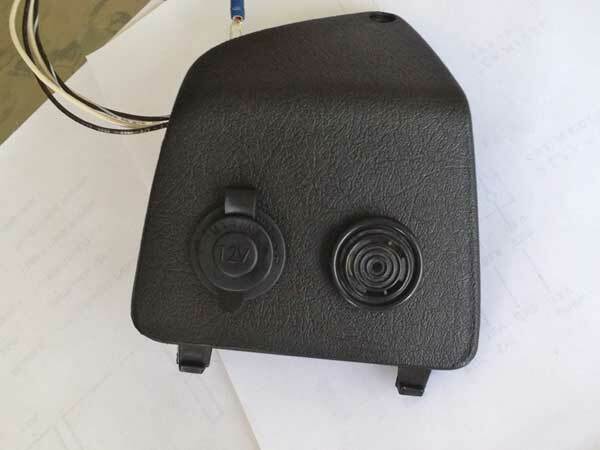 I used epoxy to attach the wire block to the back of the knee panel, and used the crimp on connectors with one leg cut off to plug into the alarm block. 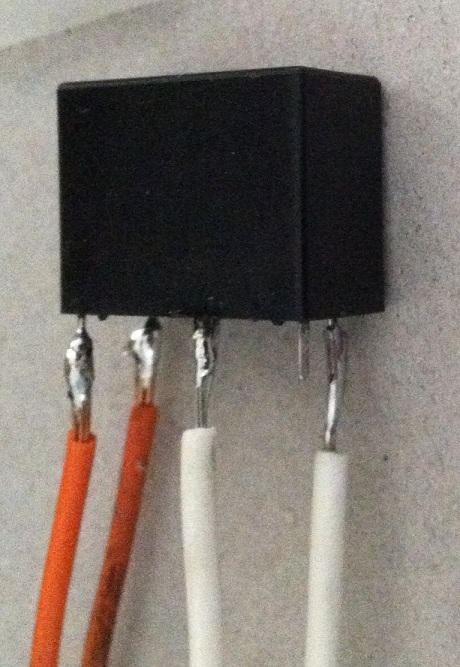 I also used a marine type 12v receptacle instead of the kind you can get at the auto parts place. I'm planning on eventually getting that connector from Scooterwest that mates to the alarm block to make the whole installation a bit more ship shape. I was a bit wary that the turn signal beeper would be too loud but found that I don't mind the fact that cagers take notice. Anything that raises awareness of my presence to surrounding traffic is a good thing, I figure. The beeper really does it's job too -I haven't accidentally left my signal on one time since install. Before, it was a daily occurrence. My next tweak will be a button to open my community gate...as soon as I can locate a proper momentary switch. Plugging in the battery tender is now a piece of cake. No more removing the floor panel. There's some fine-looking work here!! I used a tap at the rear brake switch and ran the wire down the brake hose and zip tied it to the harness..
HI all, Thanks for the contributions on this thread. 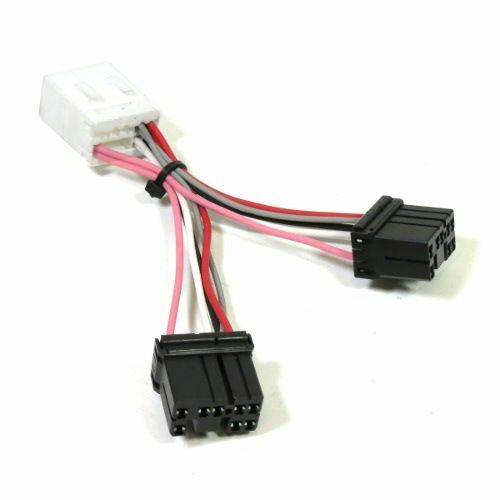 I've had a go at the wiring in the turn beeper and aux power connectors using the instructions here. So far so good. I would like to have a crack at installing the relay to cut off the beeper while the break is applied. 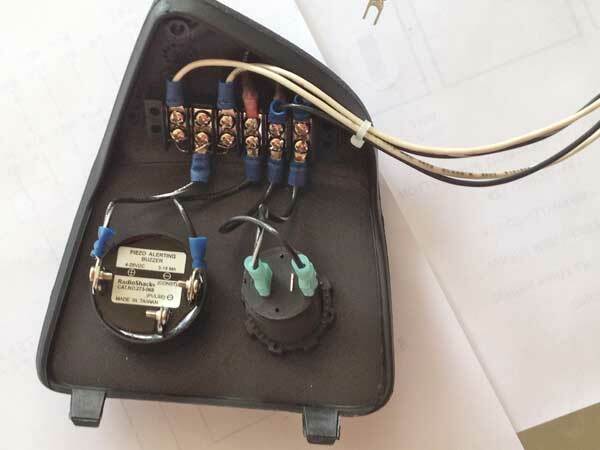 I read through the a post (quoted above) about how the break light wire was accessed. Can anyone point to some instructions on how to access the brake light wire (I gather the the handlebar cover needs to be removed, bit worried about breaking something). Also what sort of connector was used to 'splice' into the wire in the picture? Also, I was looking for something that might access the alarm connector in a cleaner way (I found the wires came loose on my first try and I didn't have much luck with the modified 'U' lugs). I came across this Alarm Interface Splitter over at scooter west (see attached image). It occurs to me that one of the male plugs could be removed with the wires fed into the 'splitter' board and the other connecter left as is. Any comments about this as a connection solution? The male plug of that splitter could be used: cut off the female connectors along with the wires to one of them, splice to the remaining wires, and plug the male end into the scooter's female connector - but the price of that thing takes my breath away! I would most profoundly like to know the manufacturer and part no. of that male connector. To access the brake light wires, you'd remove the headset per these instructions: GT/GTS: Headset Cover Removal. The switched side of the brake circuit has white/black insulation - that's where you'd want to tap in. 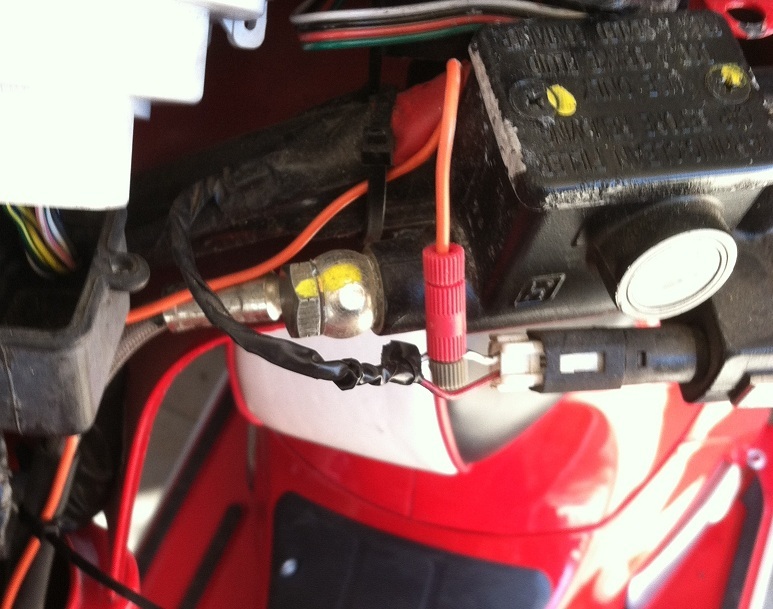 Use a splice terminal (most auto parts stores will have 'em) to tap into the brake wire without cutting the wire. It's a clamp that pierces the insulation to make contact with the wire. Yes the alarm connector / splitter is not exactly cheep, but it does offer a clean solution I guess. Thanks very much for the additional info. 40,000 views and still kickin'! After seeeing this I had the dealer install this using the Carbon Fiber covers..
Has anyone wired a 12v outlet to unswitched lead with a toggle mounted next to outlet? So you can turn outlet on and off with toggle switch. I would like to charge battery via outlet, but would prefer to not have hot outlet 24/7. I park in a large parking garage and would like to occasionally hook up my battery tender to 12v outlet while the scooter is unattended. I've done a bit of research today and it looks pretty simple to wire the toggle inline with the hot lead. Please excuse my ignorance but I see that members are using the 12v socket to charge their batteries but could this be used to power accessories such as a sat nav. Easy peasy , very clear instructions. That would work alright; but I'm not clear why having the plug hot continuously is undesirable. It must not be a security concern since you're contemplating putting a switch right next to it. Can you give me some background? Honestly, I think you'd be fine to leave it hot all the time. Mine is no more waterproof than to have a plastic cover, and after five years I've never had a peep of trouble from it. Firstly, thanks to the OP and all the other contributors to this thread. I have found it extremely useful as a noob to Vespa modifications. I just wanted to add what I have done on my GTS. I realised that the only thing I would need to charge whilst riding would be my phone, which I use for SatNav or GPS speedometer. I therefore wanted a neater solution than a 12v socket which would require a USB adapter and a charging cable. 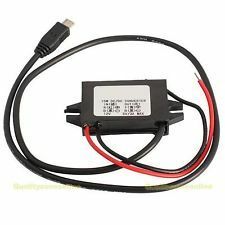 I managed to find a 12v to 5v converter with micro USB on ebay for about £3 (came from China so quite a long wait for delivery). I hooked it up to the switched connectors on the alarm block as I won't need to charge when I'm parked. The cable is long enough to route through the head unit and emerge through the left mirror opening. I have replaced the mirror with a RAM-type mount where my phone sits. I'm generally very pleased with the result. The only issue I have is that when I am not using the cable, the end is exposed and I haven't been able to find a cover for it anywhere. I'm yet to see if moisture could cause any problems. I'll add some pictures if anyone wants to have a look. I have a super sport 300 model 2014 and the alarm connector is not there anymore. 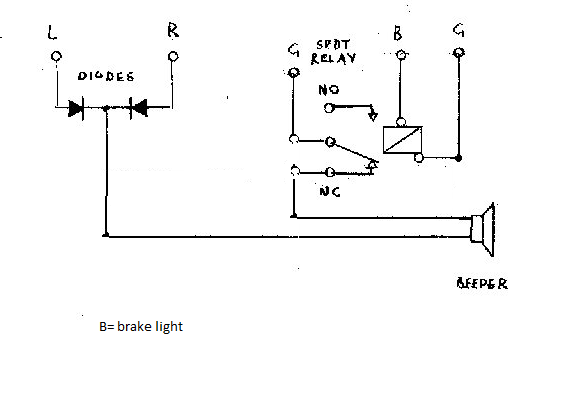 Using Cincinnati John's wiring diagram what would be the best way of silencing the beeps whilst waiting at a junction? I understand you need to splice into the black and white stopped wire from the rear brake lever. But where should this connect to? 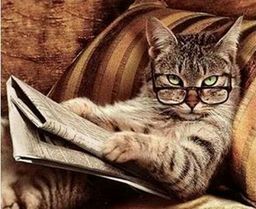 On the third page of this thread, the 18th post down, there's a wiring diagram for a circuit to disable the beeper when the brakes are applies. 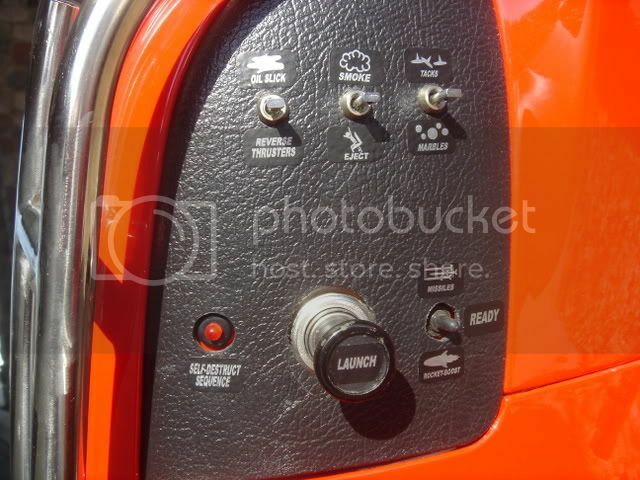 You'll need a relay to do it, with the coil of the relay energized from the brake light. You can tap into the black/white brake light wire at either of the brake handles. I got the diodes and the Radio Shack buzzer and it worked well. Then I realized that I had it off too much so it defeated the purpose. So my modification to this setup is to add a relay so that the beeping stops while the brake is pulled. That was y stoplights or stop signs I don't sound like a truck backing up. Here is a turn signal relay that beeps I found on ebay. 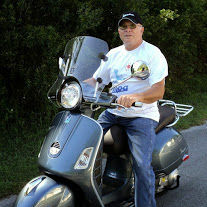 I just installed it on my 2014 Vespa GTS 300. It is just the right amount of noise for me. I can hear it find at 60 mph or more. I do not wear earplugs or a helmet that covers my ears however. I just replaces the relay that is plugged in behing the left knee hole cover. It was only $6.98 free shipping. This will be my next mod this weekend. 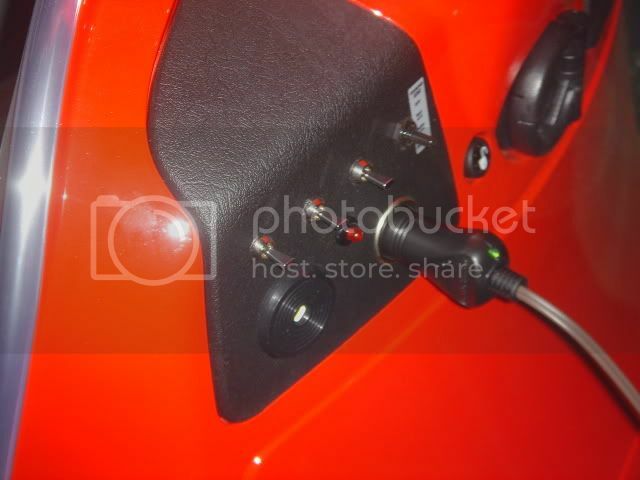 I suggest that those who desire to install power outlets on a GTS shoulder panel take a look @ Scooterwest install video then proceed as fits your own outlet needs and install skills. My 2018 GTS has two power outlet, side by side in the left shoulder, neither of which is a kit. I ran straight off my battery, by choice and have whats called variously a BMW/Powerlet/Hella/DIN outlet beside a dual USB outlet. These are sold on Amazon and ebay at the best prices and offer a better connection than a cig lighter or the low powered USB thats OE in the glovebox of my scooter. I see zero need for a terminal panel nor a bunch of switches. I also suggest buying outlets that do not have plastic hinges, but spring flaps instead. 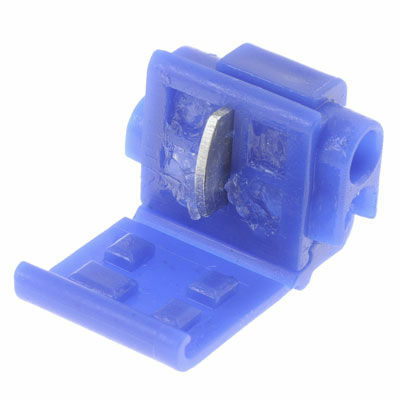 There are also waterproof outlets sold in the current MC web market place. RAM mounts makes great products that lend themselves to these scooters. I use one for my Garmin NUVI holder along with a navigation type of power cord from a powersports specialty mfg.-just google- "Red Band power cord" for a cord that works well in specialty links to power your GPS. 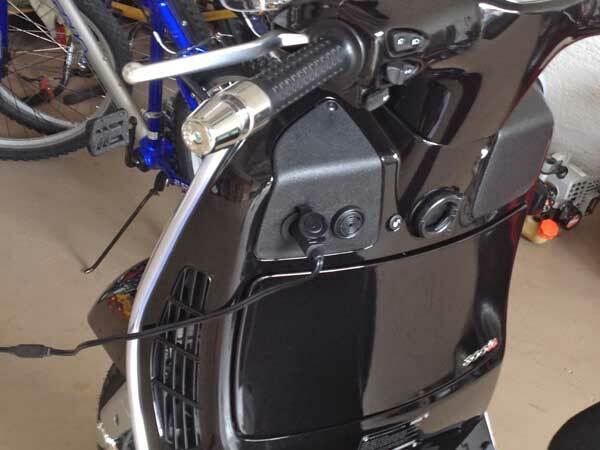 While I opted for a battery direct hookup, with inline fuse, on purpose you can easily go through the key by stealing power from the proper scooter circuit. I wanted power for my htd jackt. 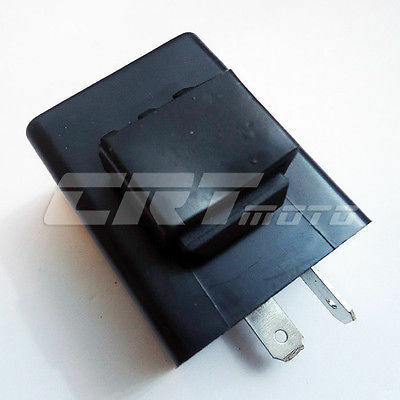 I also have an SAE connector for battery tender wired direct to battery that exits the rear of the rubber battery cover. it can also run my air compressor or my jacket with a convertor connection. Anyone needing help feel free to contact me via PM and I'll walk you through an install.